"When we gain the deep knowledge that we are limited in days and incomplete in ourselves, this can draw us ever closer to the God who is immortal and who brings our life to completion." Not too long after reading this quote, I was on Facebook looking to see if our DR mission team had made their daily posting. I didn't see one at that time, but I did see a post that my brother shared. Charlie Brown's comment looks innocent enough. I've said it a time or two in my life and perhaps you have as well. 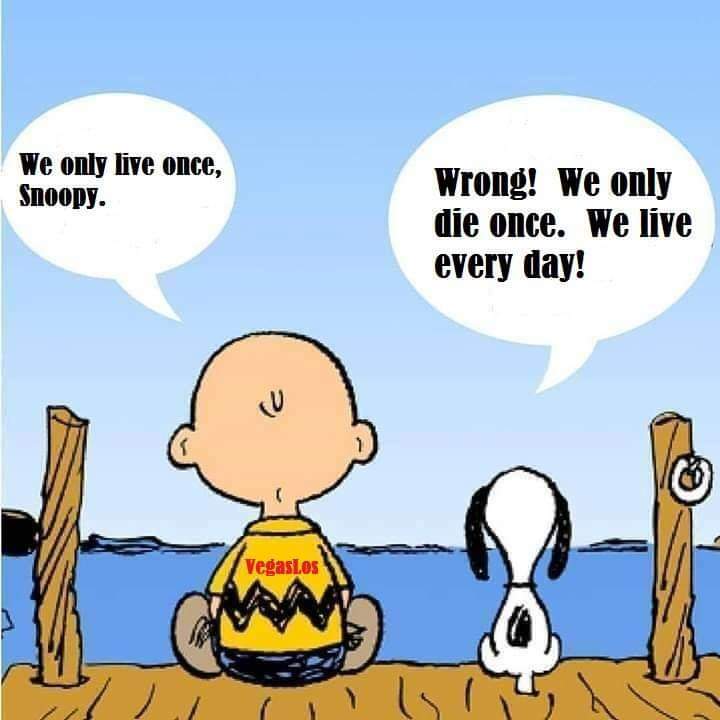 "You only live once, Snoopy" has that "eat, drink and be merry for tomorrow you might die." You only live once so make the best of it. Snoopy's response is more in the vein of what Dr. Long was teaching. "Wrong! We only die once. We live every day!" The knowledge that we die and the limits that places on our days is the deep knowledge that can draw us closer to God. Somehow each day seems more precious and beckons for deeper love and appreciation. As you know, I'm fond of dogs; especially Walker and Cowboy. On the summer like day we enjoyed last week I received two pictures via text messages. 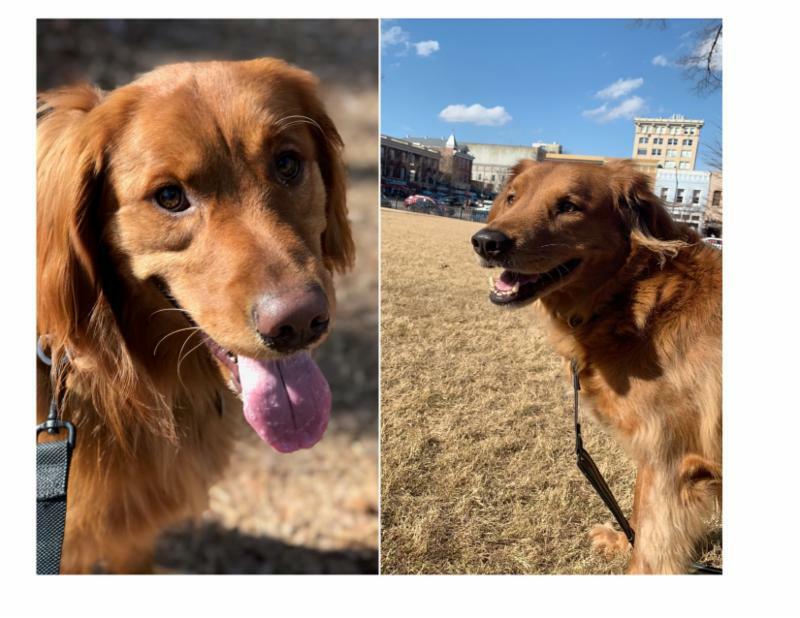 The picture on the left is of Walker with Debbie on a stroll at Caney Creek Park and on the right is Cowboy on a stroll on the campus of UGA with Maryneal. "Still, anyone selected out for life has hope, for, as they say, "A living dog is better than a dead lion." The living at least know something, even if it's only that they're going to die...Seize life...Each and every day of your precarious life. Each day is God's gift." God of wisdom, teach us that our days are numbered, and our moments limited so that as we turn our focus to you, we will grow more deeply in the knowledge of Love's wonderful gift to and for our lives; for you, O God, are LOVE. Amen.